Receiving applications for UNITE pre-engineering summer program at Jackson State University, targeting rising 9th grade (going from 8th grade to 9th grade) students only from groups historically underserved in STEM disciplines. Application dead line is May 1, 2019. The program duration is for four weeks during June 3, 2019 to June 28, 2019. UNITE, an initiative in the Army Educational Outreach Program (AEOP) portfolio, is a pre-collegiate, academic, summer program for high school students from groups historically underrepresented and underserved in STEM. The program is designed to encourage and help prepare students to pursue college-level studies, and, ultimately, careers in engineering and related STEM fields, with a view to serving as professionals in the Army. Underrepresented/Underserved populations include low-income students; students belonging to race and ethnic minorities that are historically underrepresented in STEM (i.e., Alaska Natives, Native Americans, Blacks or African Americans, Hispanics, Native Hawaiians and other Pacific Islanders); students with disabilities; students with English as a second language; first-generation college students; students in rural, frontier, or other Federal targeted outreach schools; and females in certain STEM fields (e.g., physical science, computer science, mathematics, or engineering). Selected students will get a stipend for participation in the program. 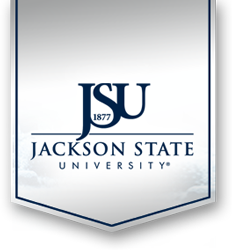 Once your application materials have been received, they will be reviewed and you will receive a letter (or by email) informing you as to your acceptance to the JSU/UNITE summer program at Jackson State University. Must be a rising 9th grade (going from 8th grade to 9th grade) students only. Must be a minority student and interested in STEM areas of study. Must submit online application at US AEOP website: http://www.usaeop.com. Must submit all the forms in the registration packet at Jackson State, and abide by its regulations. Must submit two letters of recommendations.